The set lunch menu at this cheese specialty restaurant is one of the better raclettes in town, and a pretty good deal. It comes with premium-grade heirloom vegetables and tasty home-made sausages, fresh sauerkraut and excellent European-style pickles. The pickled peppers are especially enticing - spicy but not overpowering, with a tartness that's a good foil for the cheese and meat components. In the evenings this turns into a fairly pricey French restaurant, serving numerous raclette and fondue variations, cheese platters and cheesecakes for dessert. 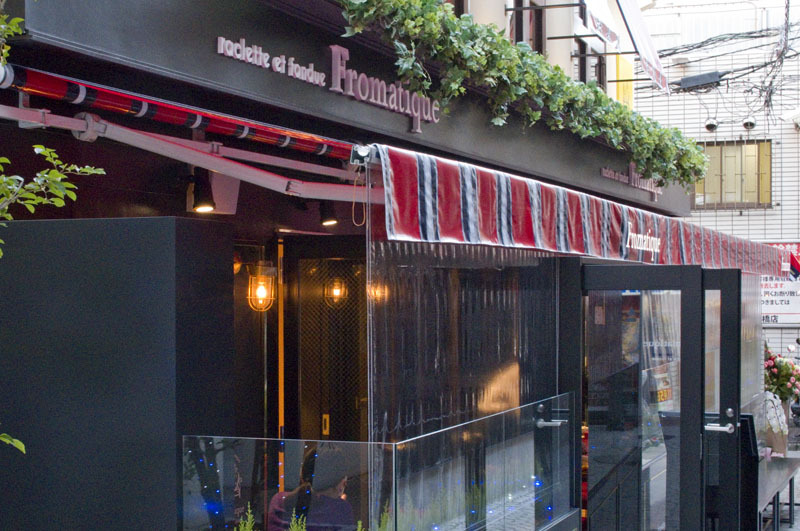 One thing that sets them apart is their strong, 3000-bottle wine list, featuring mainly wines from the Savoie region, provided by their sister shop, l'Alliance, which is just around the corner. Weekday lunches are Y1200 and include a beverage, and on weekends the price jumps Y1500 and includes an additional soup course. 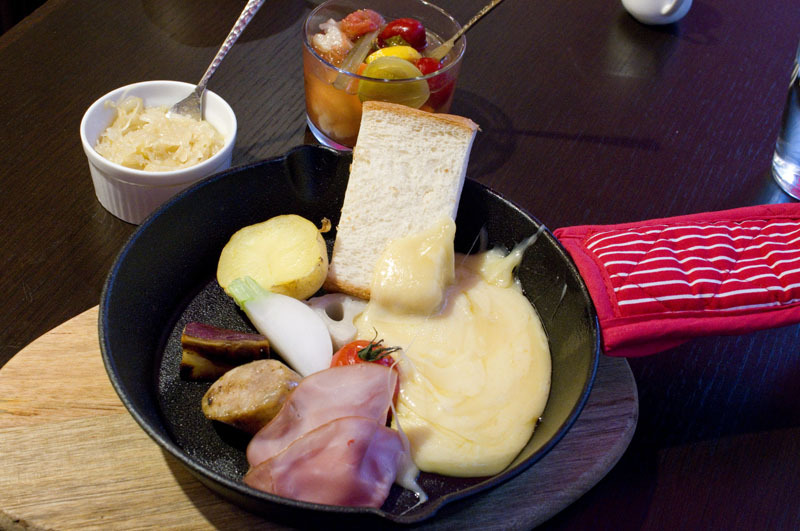 At dinnertime raclette plates are priced at a relatively steep Y5,600-12,000 for two, which is the minimum order. In spite of the high prices, they maintain a casual, bistro-level of service - for example you can set your own place from cutlery that you fish out from a little basket on the table, and you can call over a waiter when you need a water refill.